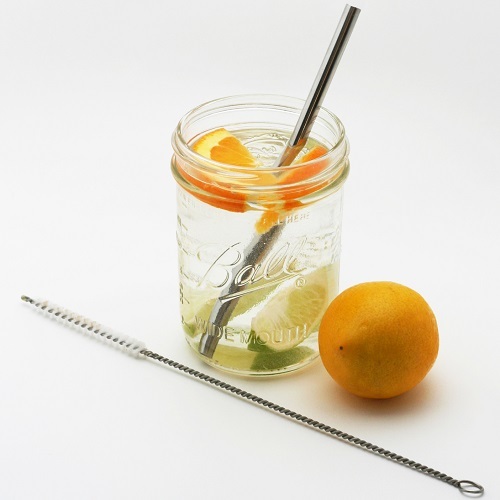 Reduce waste with our reusable stainless steel straws, ideal for cold drinks, fruit smoothies and dinner party cocktails. 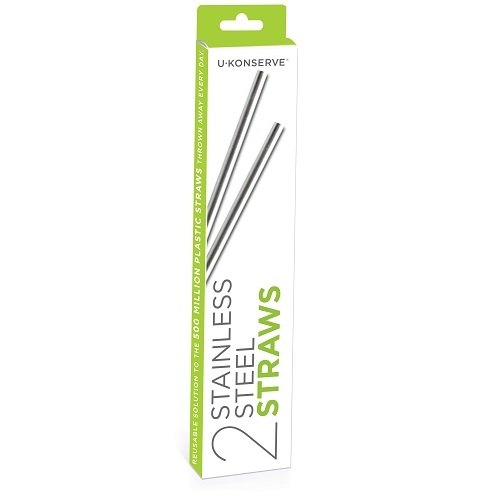 Help eliminate the 500,000,000 plastic straws Americans use every day with our two-pack of durable and reusable stainless steel drinking straws, ideal for cold drinks, fruit smoothies and dinner party cocktails. When compared with other less-expensive stainless steel straws on the market, our durable straws have a thicker stainless steel wall and smooth, rounded edges. Clean with our handy straw brush. We recommend supervising young children while using stainless steel straws. Help eliminate the 500,000,000 plastic straws Americans use every day with a durable stainless steel straw and handy straw brush. Extend the life of your reusable stainless steel straws when you use this slim brush for a thorough cleaning. These are great straws and fit most standard size cups. They aren't sharp like some metal straws and clean easily if you have the brush (sold separately). I am quite a fan of these stainless steel straws. They are wonderful to use and make me feel better about doing my part for the environment. My only wish is that they would be longer to fit my smoothie cups better.